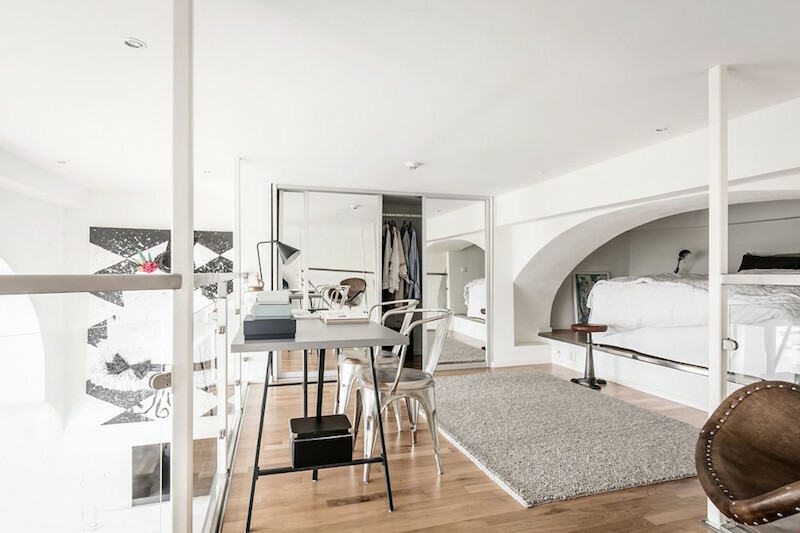 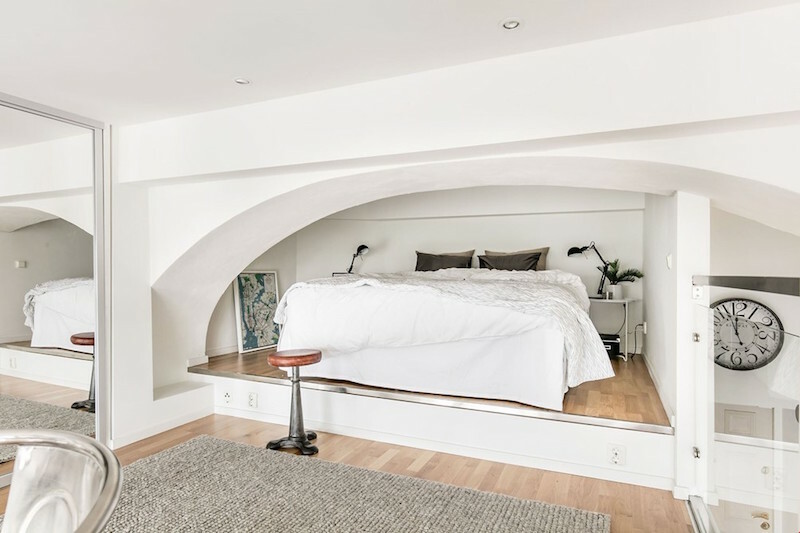 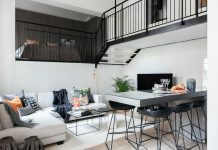 The 4,5 meters room height gives this architectural studio apartment a unique base layout that baths in natural light, thanks to the big windows. 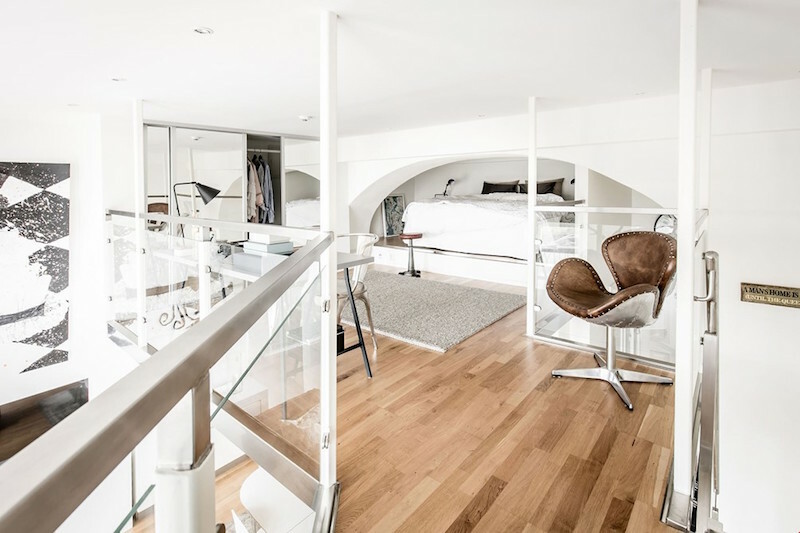 The socially comfortable and open main floor space gets an additional extra from the spacious loft combining the bedroom, wardrobe and work desktop facilities. 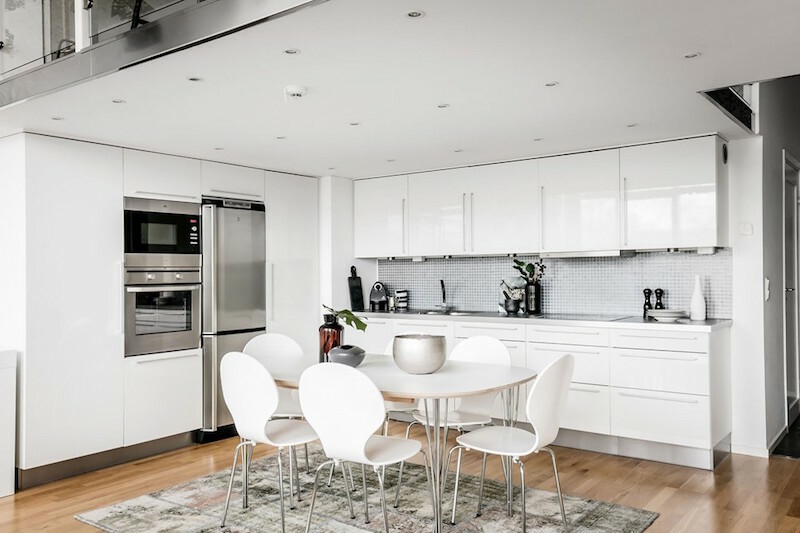 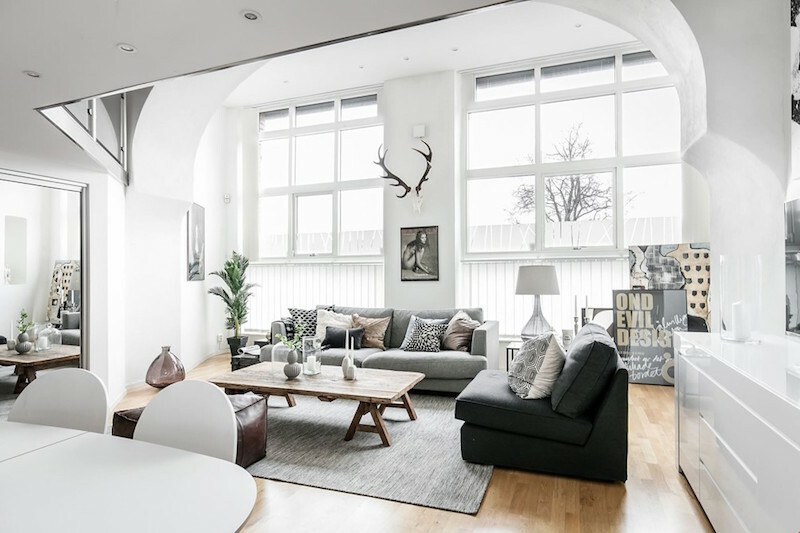 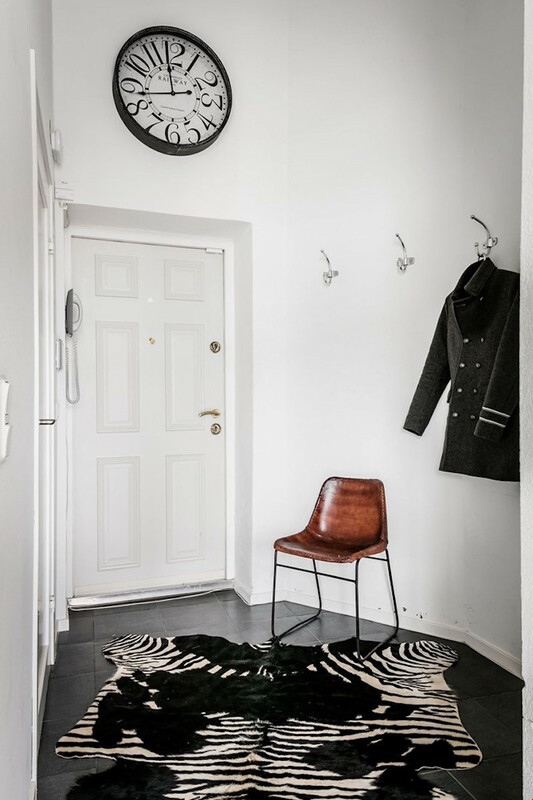 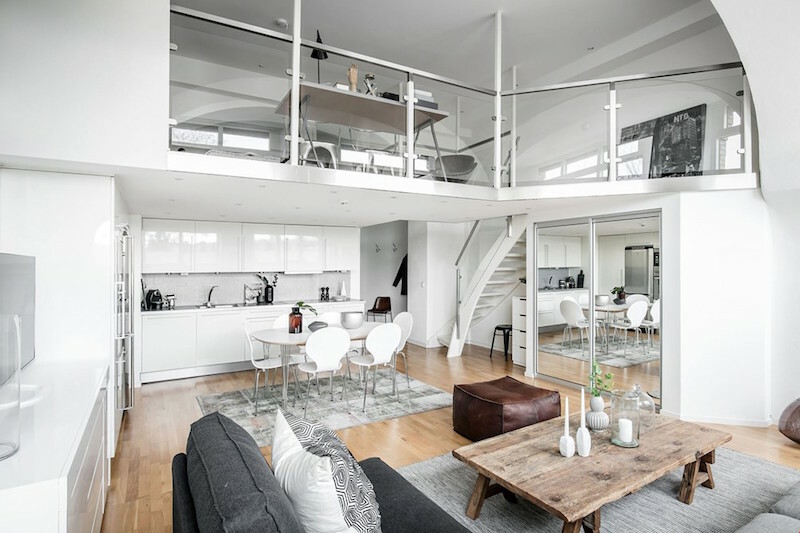 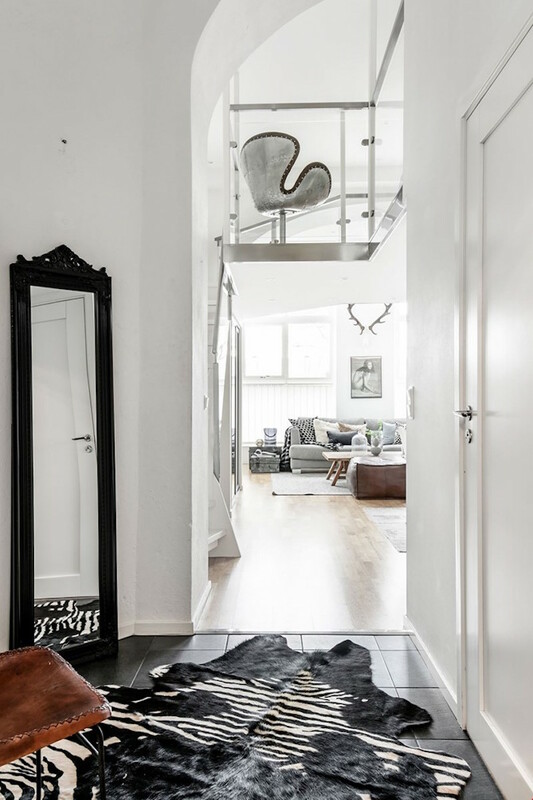 This magnificent studio apartment is listed at Lundin. 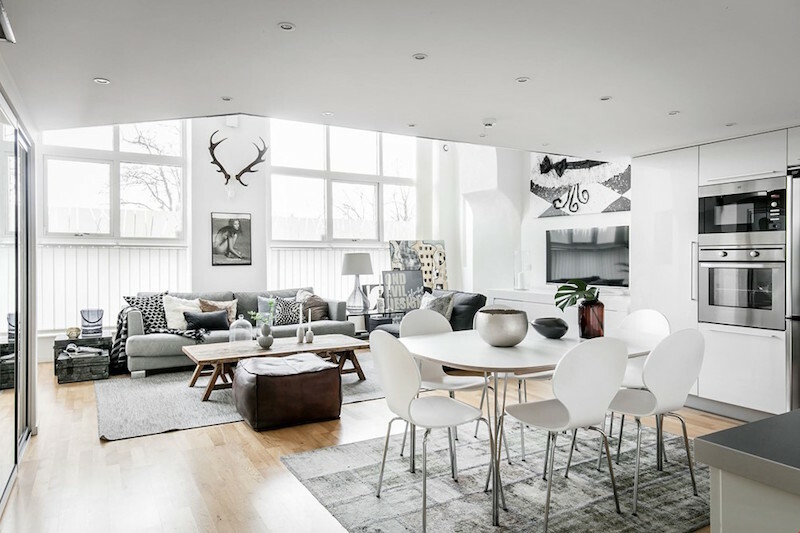 Enjoy the open kitchen/living room combination while hanging out with your loved ones. 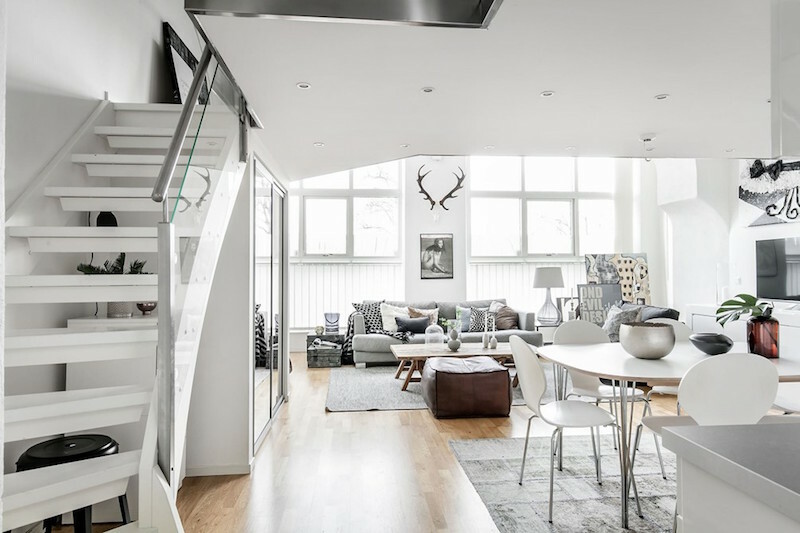 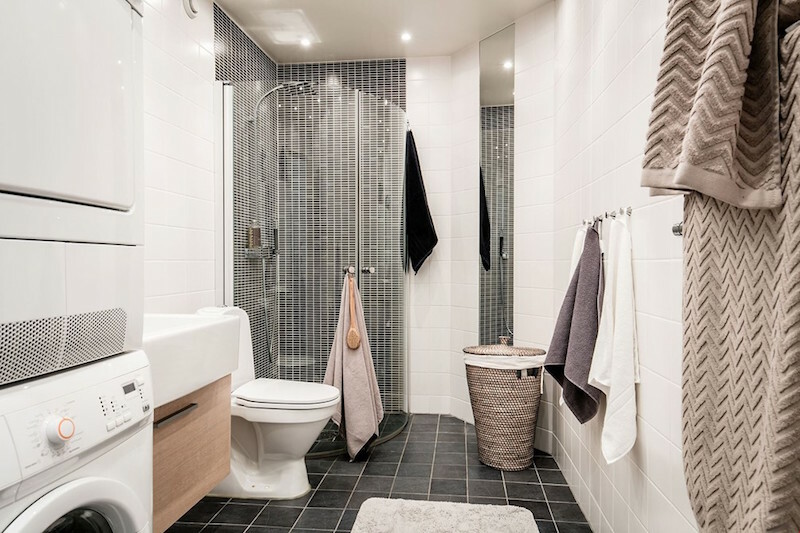 Vivid white elements together with tones of grey and warm materials create a cosy entite. 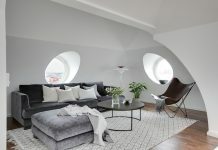 The arch shape of the wall creates an interesting atmosphere opening same time the huge windows with in flooding light.